I'm excited because I asked my Instagram followers what they'd like to see on the Jackie Fo blog this summer and they gave me some great ideas! (Btw, follow me on Instagram @jackiefo ). Sometimes a gal needs a little help with her inspiration, ya know? 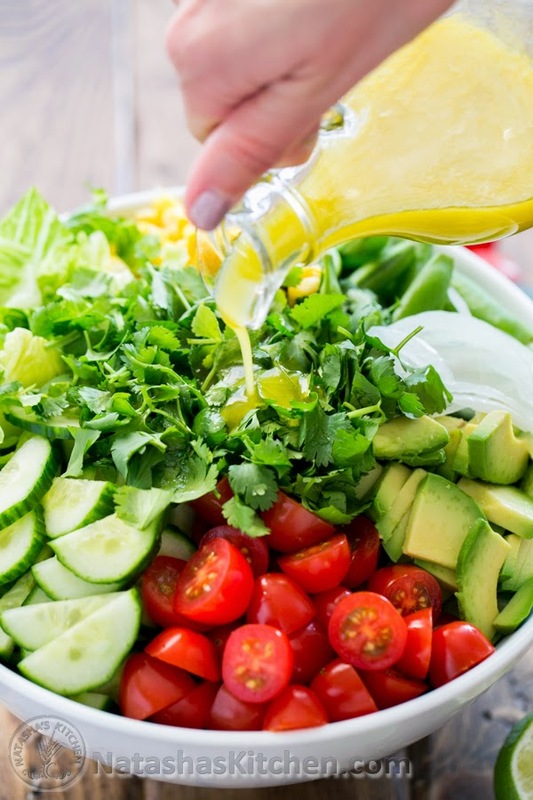 The first topic I'm going to blog about is healthy summer salads. Sounds boring, I know, but I promise these salads are anything but dull! I need a lot of "stuff" on my salad to make it appealing, so I made sure to find salads brimming with summer vegetables and fruits. If you're anything like me, you're working hard right now to get healthy and maybe even trim down a bit, and these salads fit the bill. Plus they give you an excuse to hit up the farmers market which I love doing...Don't get me wrong, I love a good grocery store, but there's something a little more fun about the farmers market. Let's take a look at this summer salad bounty? All the links to these fine recipes are underneath the photos. 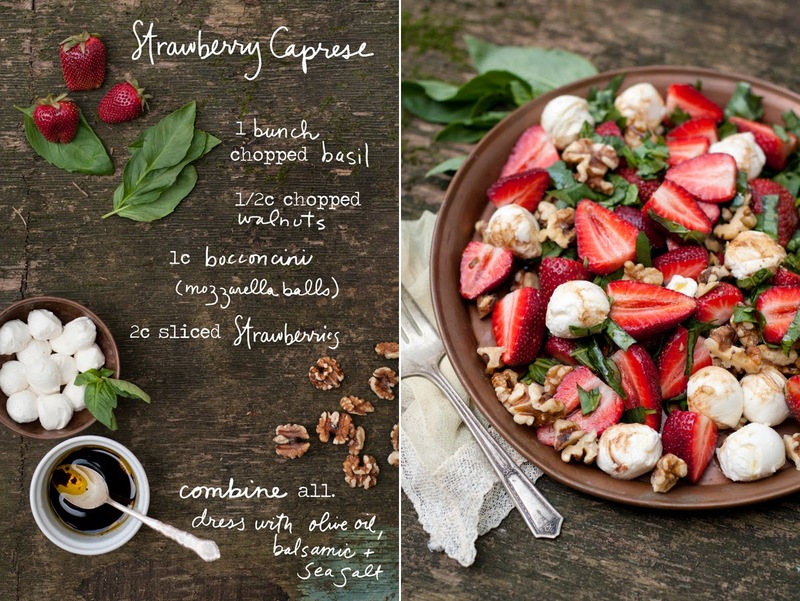 It's no secret I adore the classic Italian Caprese salad, so I'm loving this twist on it using strawberries and walnuts. This would be a great addition to a buffet or even a light lunch. 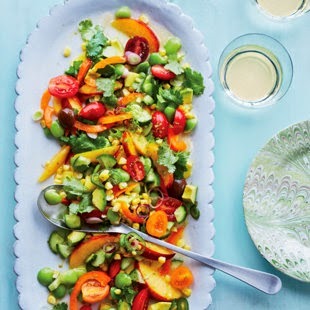 This veggie salad has everything but the kitchen sink - lima beans, tomatoes, peppers and more. It's colorful and beautiful too! If you're in the mood for Mexican (and I am a lot in the summer months) this Mexican summer salad is right up your alley. Plus it has avocado, and everyone knows that things with avocado are instantly awesome. 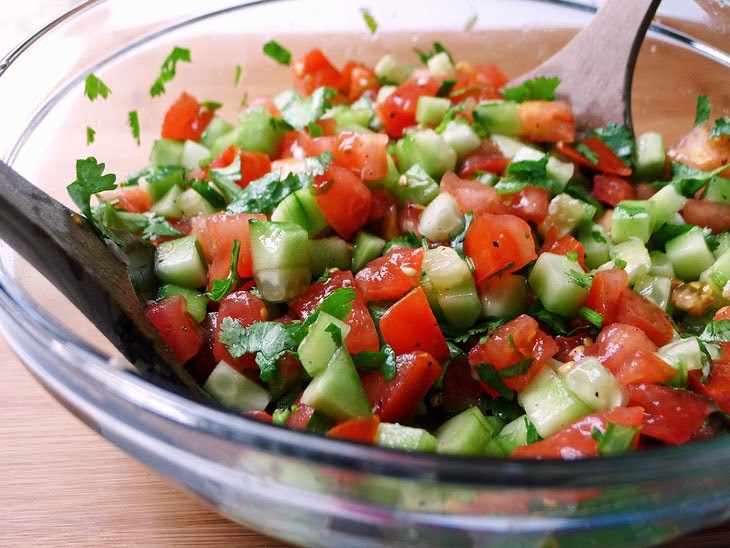 This tomato and cucumber salad with cilantro would make the perfect side dish to any summer meal, don't you think? If you want a little grain in your salad, try this quinoa and nectarine salad. This salad is nutty, sweet and hearty! Plus you can quiz your friends and see how many people know how to spell "quinoa." Is anyone else really into the peppery flavor of arugula right now? I am...especially arugula with prosciutto. 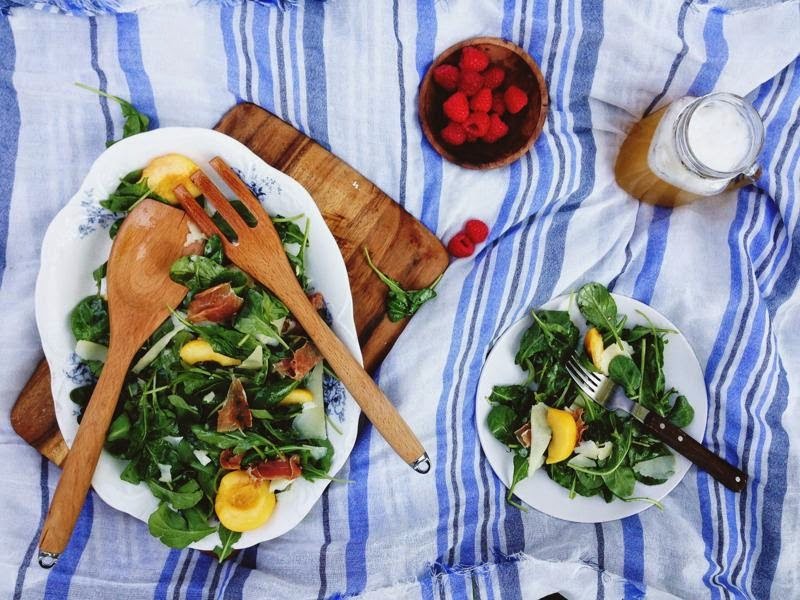 This salad has peaches, arugula and prosciutto. YUM. 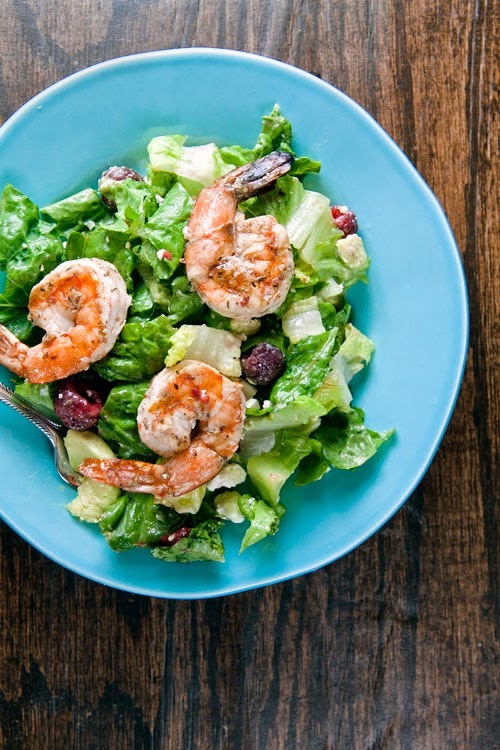 This salad has grilled shrimp, salty cheese and romaine lettuce. Honestly you can add grilled shrimp to any salad and it goes in the win column. 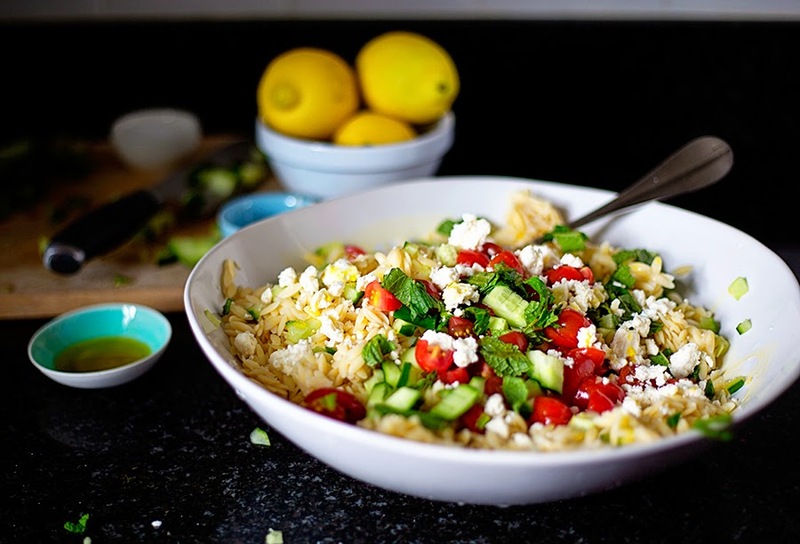 Since I love pasta salad of any kind, I had to include my lemon orzo salad I made for the Homes.com site. Just try it and tell me you don't love it! 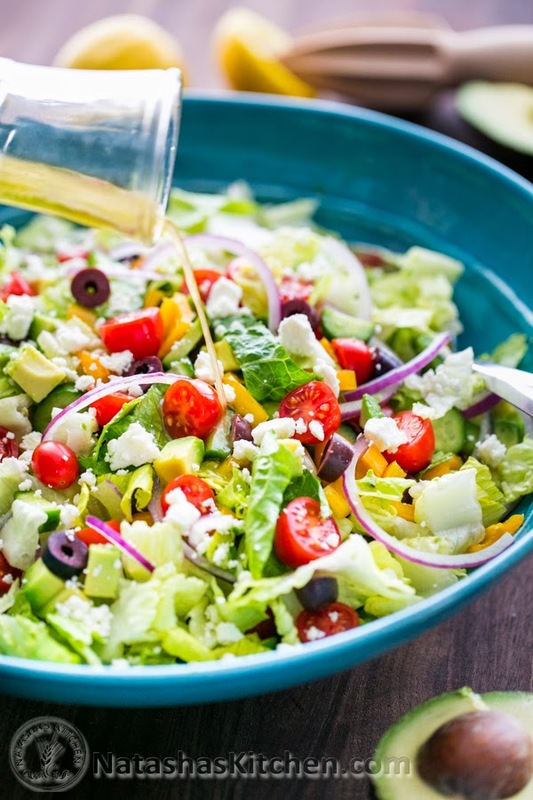 Don't these recipes just make you want to whip up a hearty salad for dinner tonight? Like I said above, add grilled shrimp or grilled chicken to any of these salads for a main course meal. Who knew salad could be so delish?! Yum. I want all of these right now! These all sound so good!! Though I must admit you had me at strawberry caprese! These are amazing! Such a great round up! I'm going to go through them one by one and try them all. 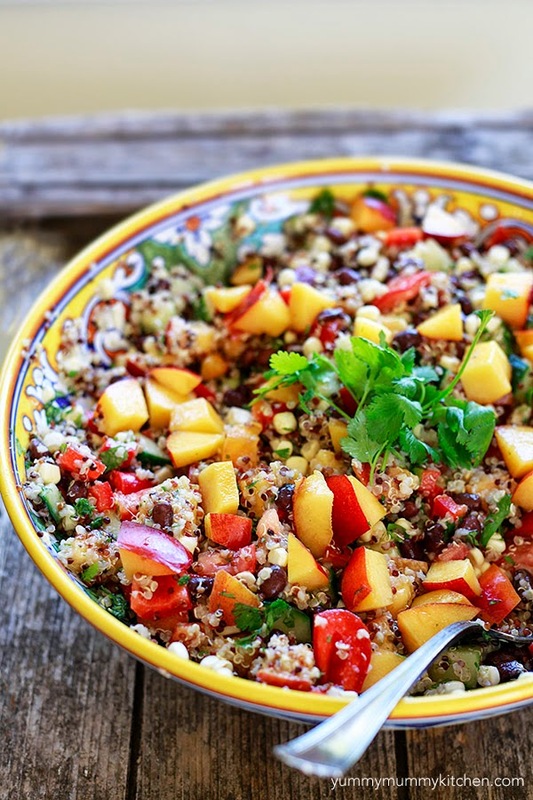 That quinoa and nectarine sounds so good! And I'm obsessed with arugula at the moment so I can't wait for that one!